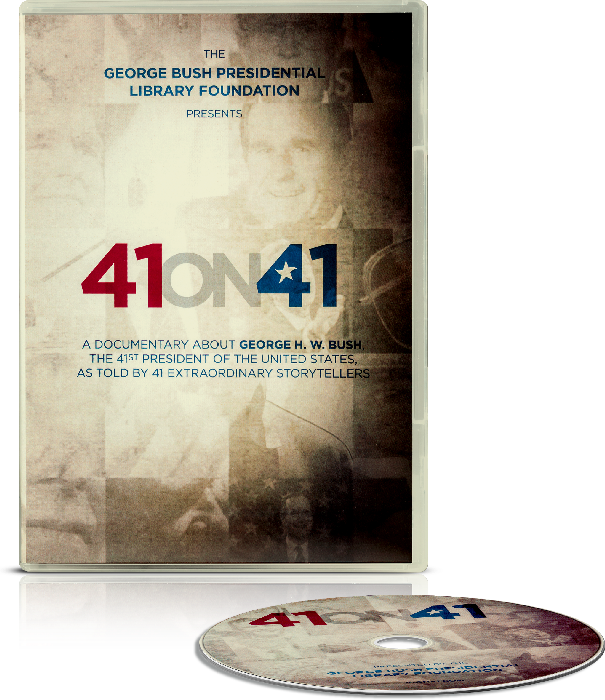 41ON41 takes the viewer on an emotional journey as it reveals a remarkable husband, father, grandfather and friend who also happened to be the leader of the free world. President Bush’s handling of the momentous events of 1989 through 1992 — among them the Fall of the Berlin Wall, the unprecedented international coalition after Saddam Hussein’s invasion of Kuwait, and the 1990 budget deal — are described by eyewitnesses to history who were inside the Oval Office. The narrative is a seamless weave of behind-the-scenes stories — some funny, some poignant, all fascinating. Led by former First Lady Barbara Bush, the 41 storytellers include an interesting array of people from former presidents and world leaders… to comedians, Hall of Famers and skydivers … to Secret Service agents, White House butlers, family members, fishing buddies and more — several of whom have never spoken on camera until now. – Mary Beth Westmorland, Chief Technology Officer, Blackbaud, Inc.
An enlightening 90 minute documentary looking at one of America’s most beloved leaders, President George H. W. Bush, as told by 41 extraordinary storytellers.